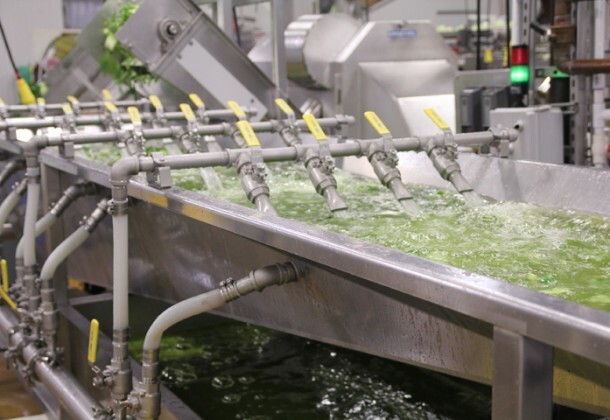 The Multi-Nozzle Wash Tank is a specialized piece of equipment designed specifically for washing fruits, vegetables, and leafy greens. It is the perfect way to wash the dirt off of your salad fixings – radishes, celery, broccoli, cauliflower, spinach, radicchio, spring mix, and romaine! 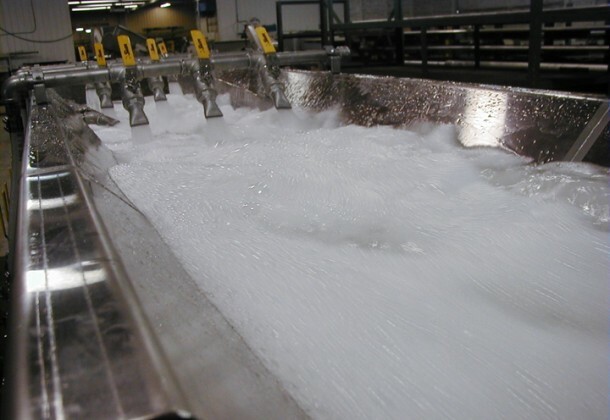 Each nozzle can be adjusted individually giving you complete control of the water during the washing. 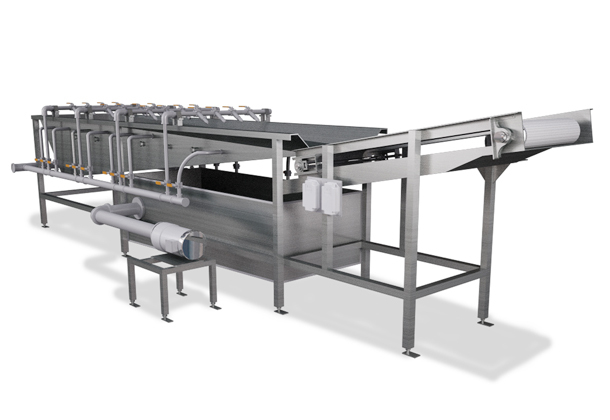 This way, product can be moved at various rates of speed maintaining peak condition when it reaches the belt for discharge. 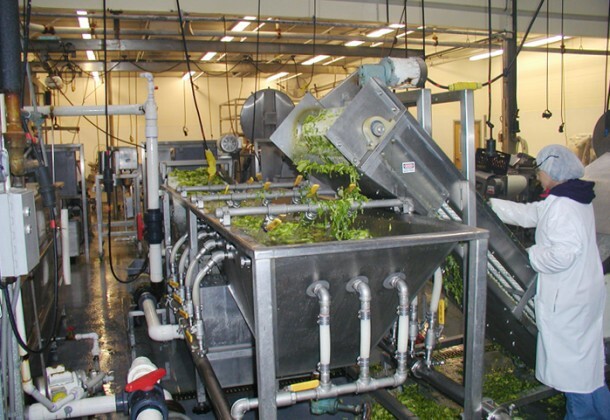 Adding a water chilling system will increase your product quality and minimize loss. 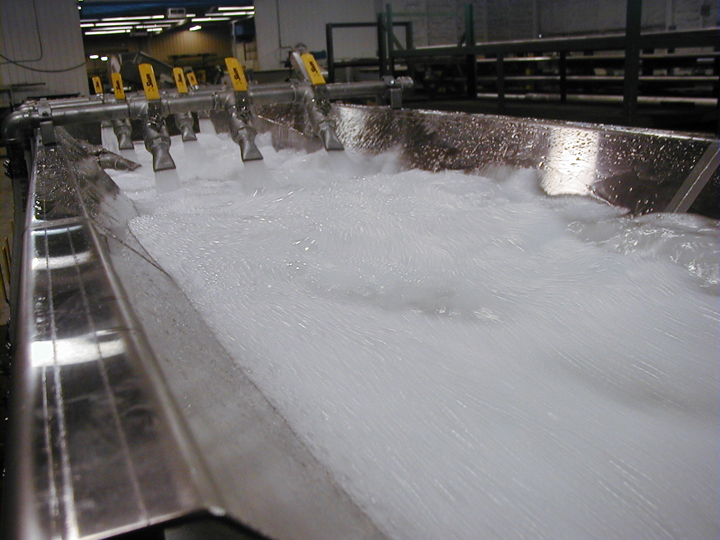 Contact CMI, so we can help you incorporate the Multi-Nozzle Wash Tank into your production line. You will wonder how you got along without it!